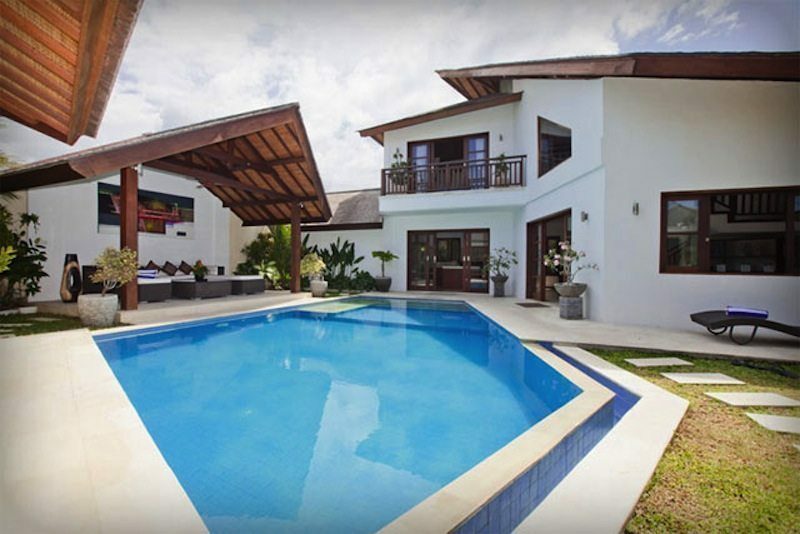 Villa Origami is situated in Seminyak, Bali. 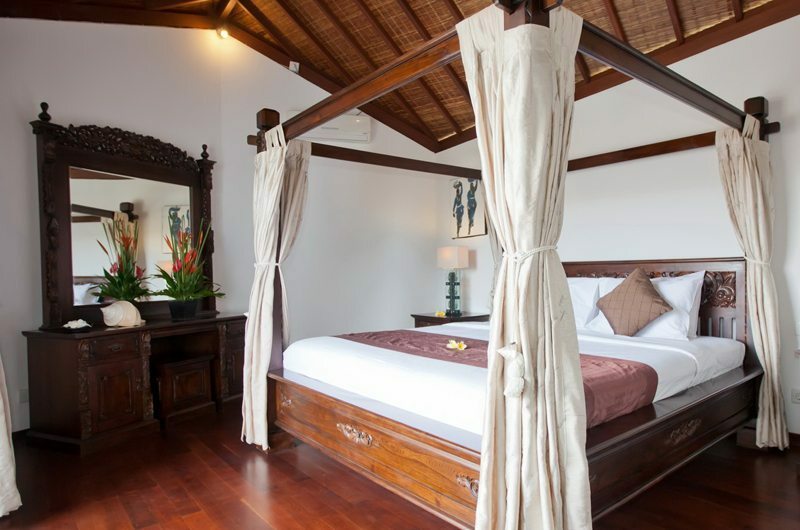 It has three spacious bedrooms and it is set in a tranquil area. 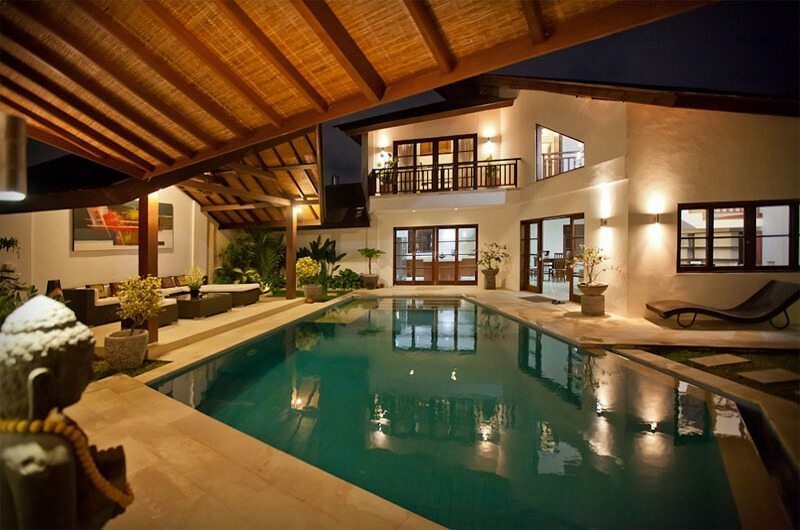 You can spend quality time at the pool and garden in complete privacy. 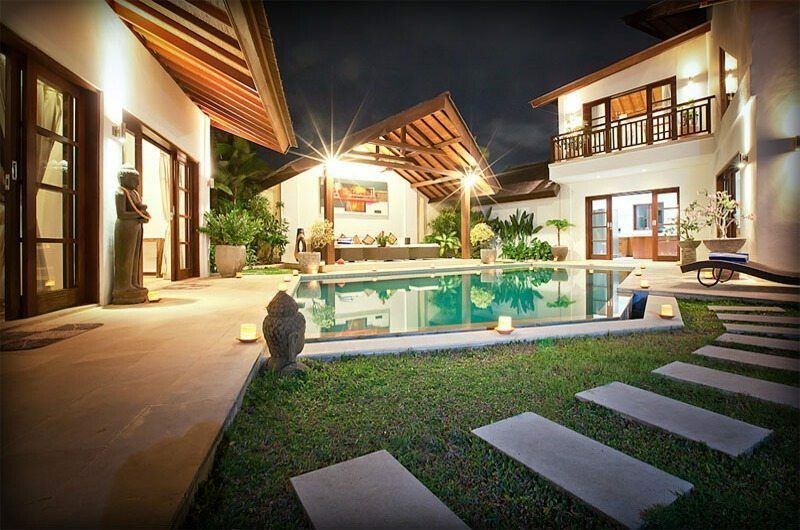 Villa Origami is also elegant and modern with a few traditional touches. 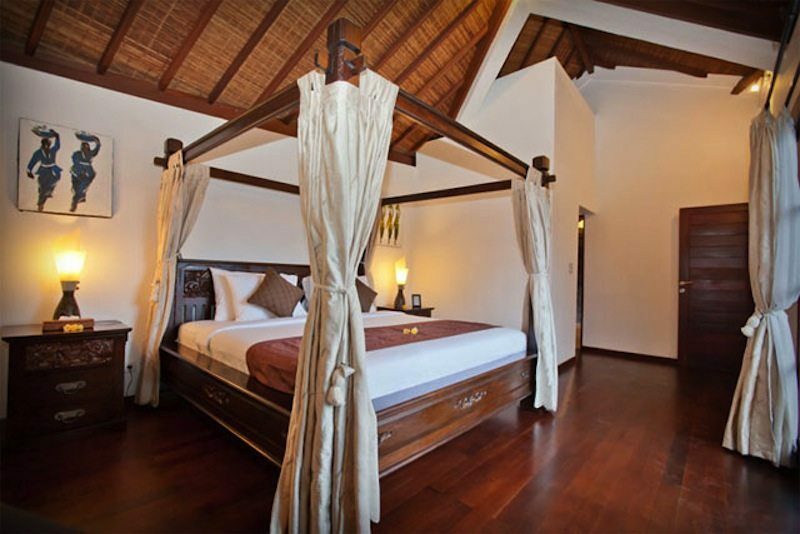 By making use of the best Asian elements, the villa is able to offer guests a truly exotic living experience. Book less then 30 days prior to arrival and receive 25% off. Valid with no other specials. 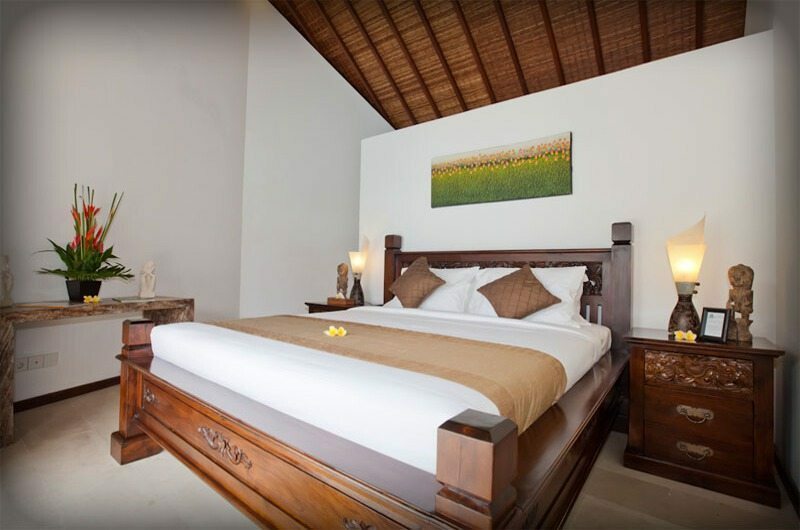 Book at least 30 days prior to arrival and receive 20% off the standard rate. Not valid with any other promotions. 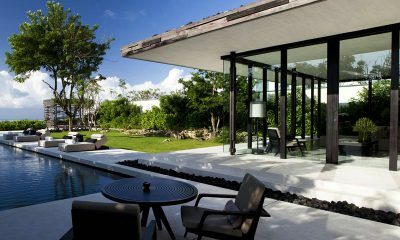 The living area has sliding doors and fully enclosed. You can shut the doors in the evening to ensure that no bugs get in. 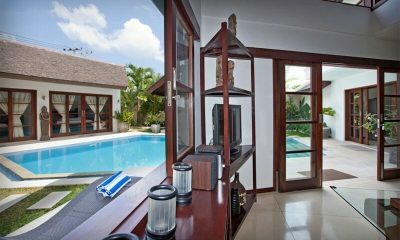 This is a unique feature of the villa, other villas generally have open plan areas that cannot be closed to keep out the elements. 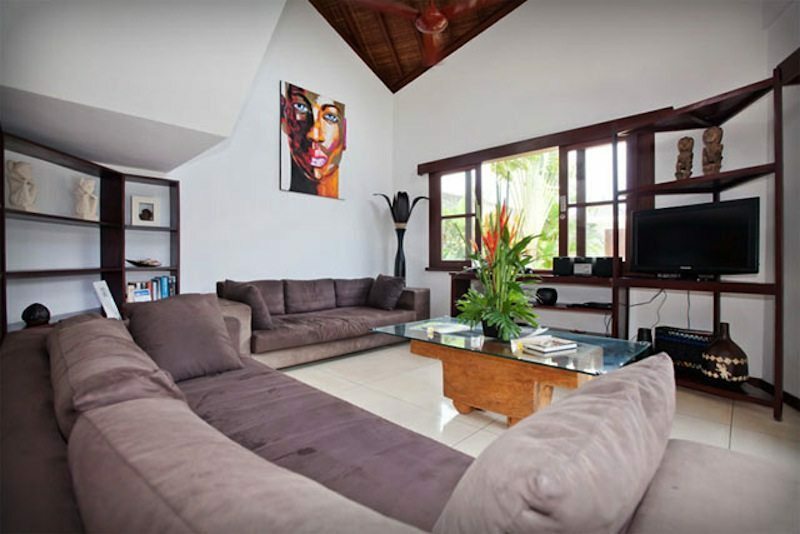 In the living area there is a great chase lounge which is perfectly suited for curling up and relaxing. When it’s hot, you can switch on the air conditioning to keep the heat at bay. The kitchen is large and well equipped. There is a dining table that can comfortably seat 6 guests. 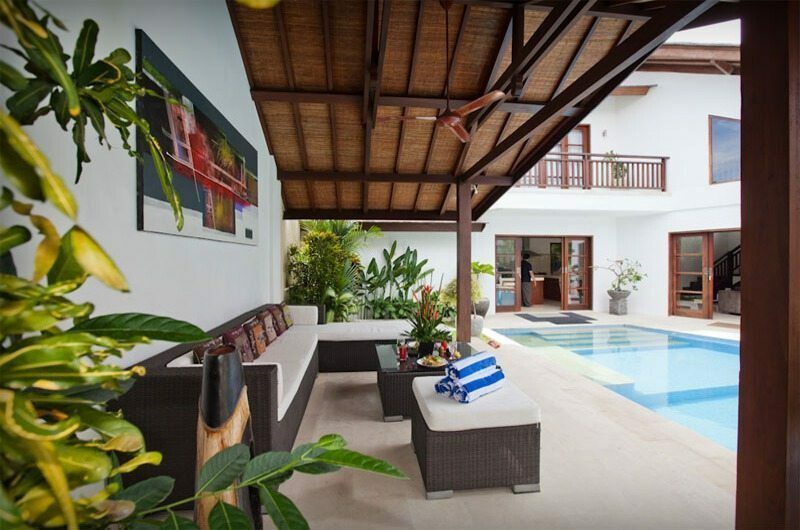 Villa Origami has a great swimming pool with a grassy area for the children to run around on. 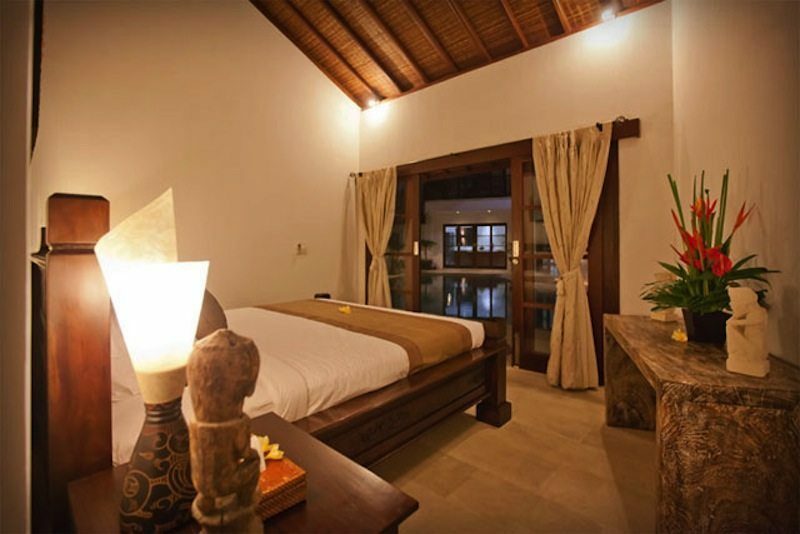 Villa Origami is has three spacious bedrooms. 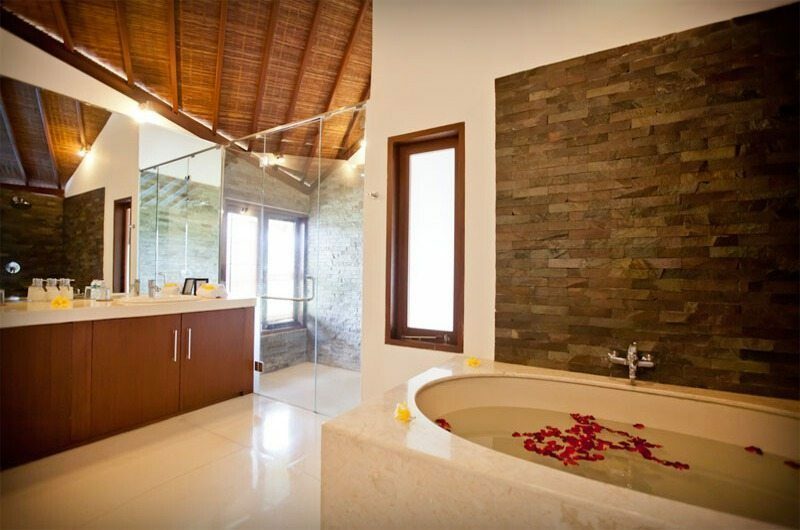 On the first floor there is a master bedroom with a dressing room and en-suite bathroom. 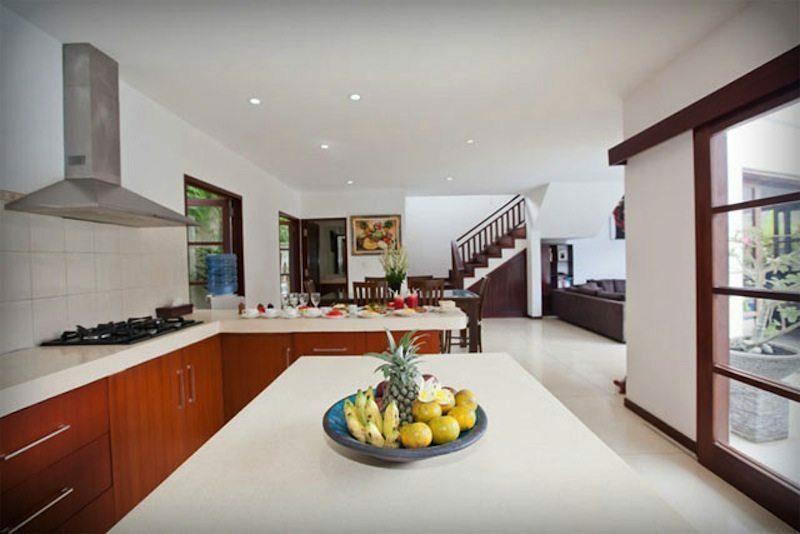 The property also has two bedrooms that are located opposite the main living area. 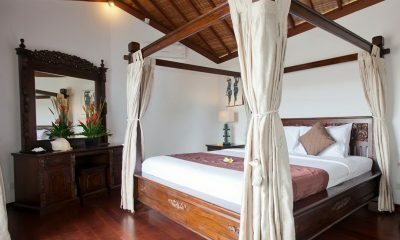 The bedrooms are situated opposite the swimming pool and are side by side. 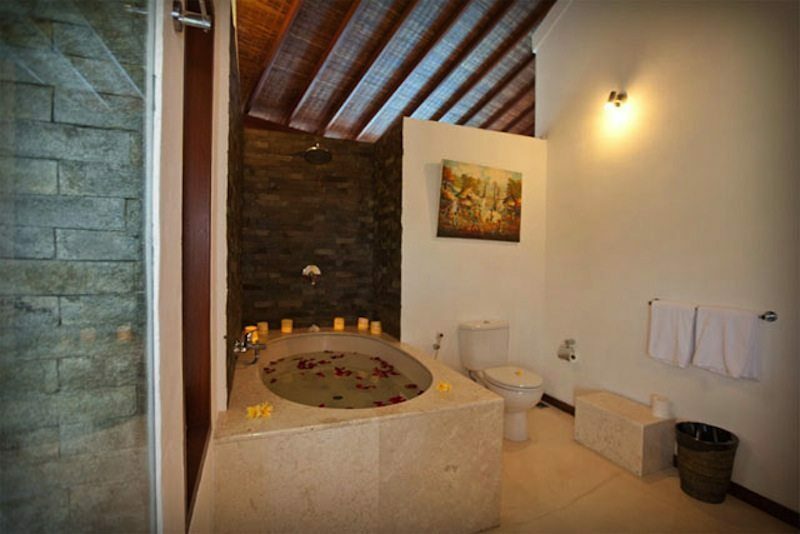 Both rooms have spacious semi-open air bathrooms. 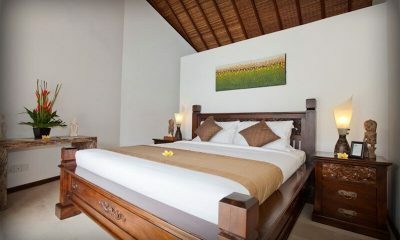 Your stay in Villa Origami is made enjoyable by the professional staff. 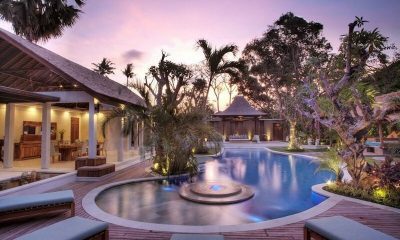 Villa Origami’s staff have been professionally trained and will do their utmost to please with their warm and friendly Balinese hospitality. 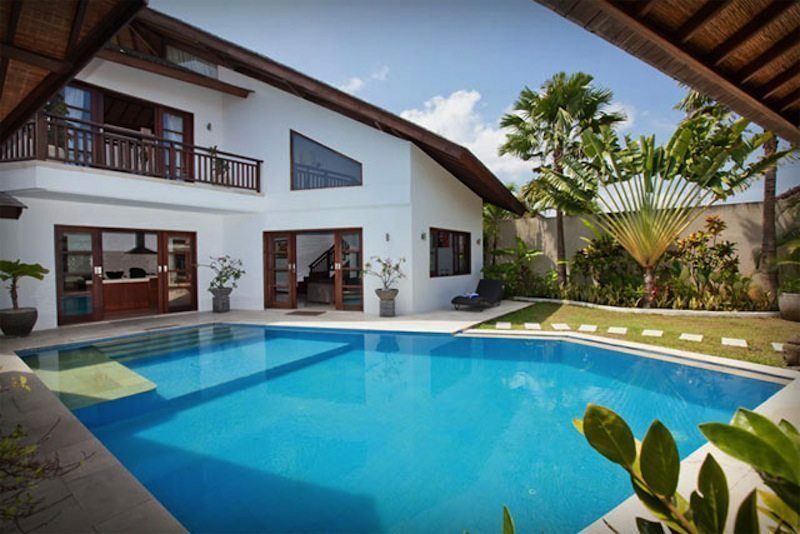 Villa Origami’s experienced and knowledgeable manager is responsible for the overall operation of the villa. The villa manager will oversee and coordinate the staff and property and assist you during your stay. Simple cooking services & groceries shopping services are provided by the cook. Getting to the villa is very easy. 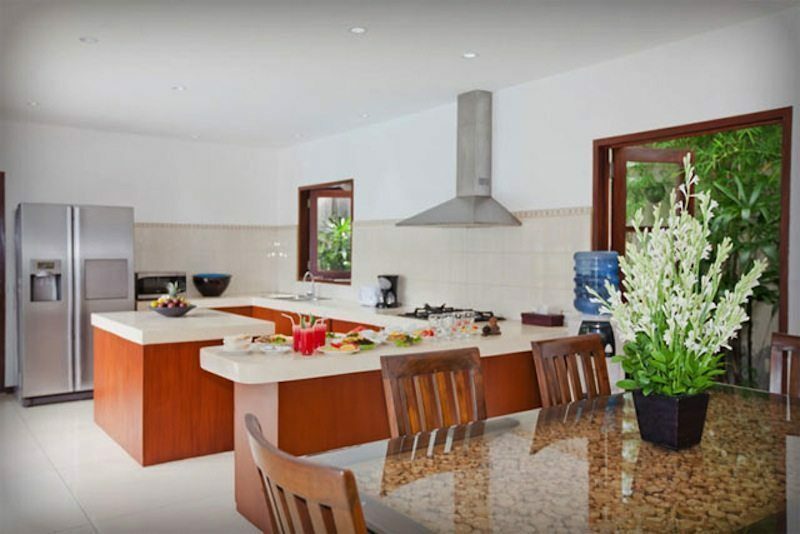 The villa is located just a twenty-five minutes’ drive away from the airport and a five minute walk from the villa you ill find supermarkets, restaurants, shops and bars nearby. 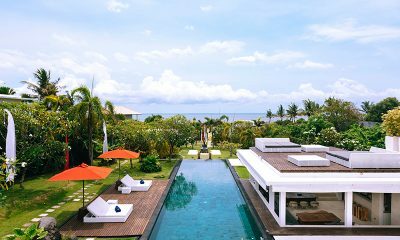 The well-known Double Six Beach is just ten minutes away from the villa and another five minute walk will take you to Seminyak Beach. 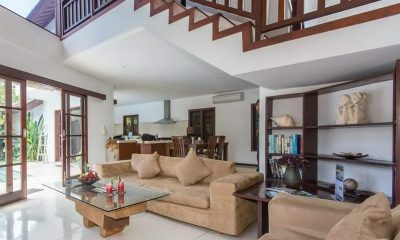 Villa Origami has a great location – at first, I was afraid we wouldn’t be near the hustle and bustle (ie Seminyak Square area) but honestly, the area around the villa is much better. There’s lots of great places to eat on Seminyak Street (the main street that the villa is off of) – would recommend Grain and Ryoshi in particular! It’s not as busy as the more commercial end. As others have mentioned, it’s the perfect balance of being tucked away yet very near to shops and restaurants (and of course, the huge Bintang Supermarket). 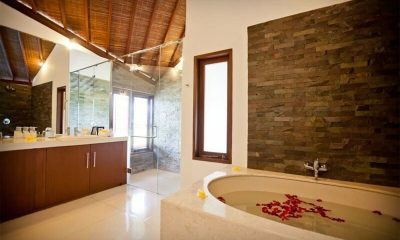 The villa was cleaned everyday and, if you wanted, you could have staff on site to be on hand to cater for your every need. Since this was a second honeymoon, we asked for privacy and this was respected. The villa staff were very understanding! Mr Putu (Villa Manager) was excellent! Nothing was too much trouble and he was always available via What’s App – he even arranged a driver to take us to Tanah Lot temple for the afternoon for a bargain price! Jero (who cleaned for us) was very friendly too, and arranged massages for us. We liked knowing there was security on site during the night (although we felt very safe there and security probably wasn’t required). 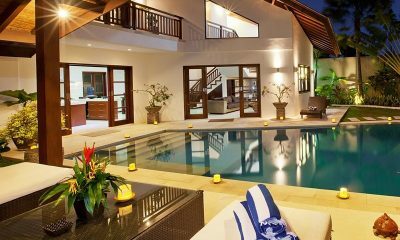 The villa itself is spacious and clean and has a fantastic pool and garden (which is a sun trap all day for those who like to sunbathe!). We felt very lucky to have it all to ourselves. We liked that towels, shampoo, conditioner, shower gel and even toothpaste was provided – we didn’t need to buy a thing! There’s also a water cooler meaning you have fresh filtered water on tap. The air con and fans are excellent (and welcomed in the intense heat!). My only small, negative comment concerned the noises at night (which cannot be helped). Unfortunately, the beautiful thatched roof isn’t soundproof so a neighbouring cockrel kept us awake! We soon got used to it though but ear plugs helped immensely! We could not have been more impressed with Villa Origami. From the rooms, maid service, food and location; it was fantastic. 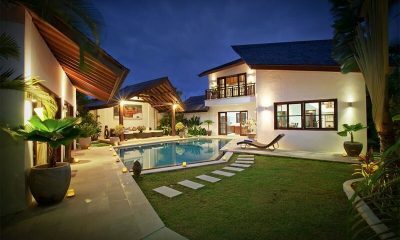 We would definitely stay there again and would recommend Villa Origami to our friends and family. We stayed for 7 nights , breakfast every day was delicious thanks Jero. The pool area is awesome to drink by and frolick around. Air con worked very well beds super comfy and the service was 24/7. We had a wedding and Jero ironed the boys shirts and our bridal tops. 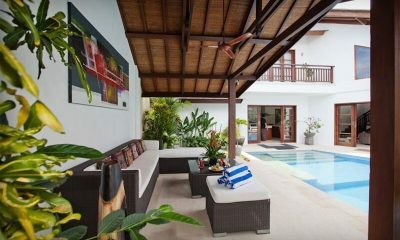 A short walk from nice restaurants and beach front , will definitely be staying at Oragami villa again. 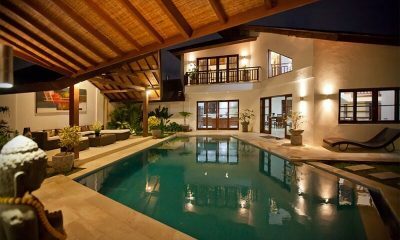 Me and my husband along with four friends stayed in this gorgeous villa. We loved our stay here. 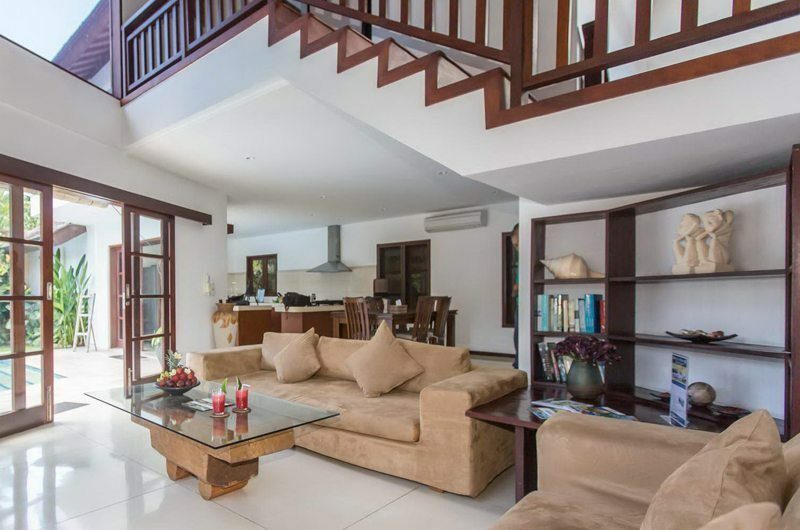 It’s tucked away from the crazyness of Seminyak but walking distances to everything. It is so quiet and relaxing. Your cannot hear any noise from the outside streets at all. You can stay inside the lovely compound and not even have to leave the front door. The staff can provide everything you need, they can even cook for you. Whatever you want. The pool is lovely and the chill out area next to it is where we spent most of our time. 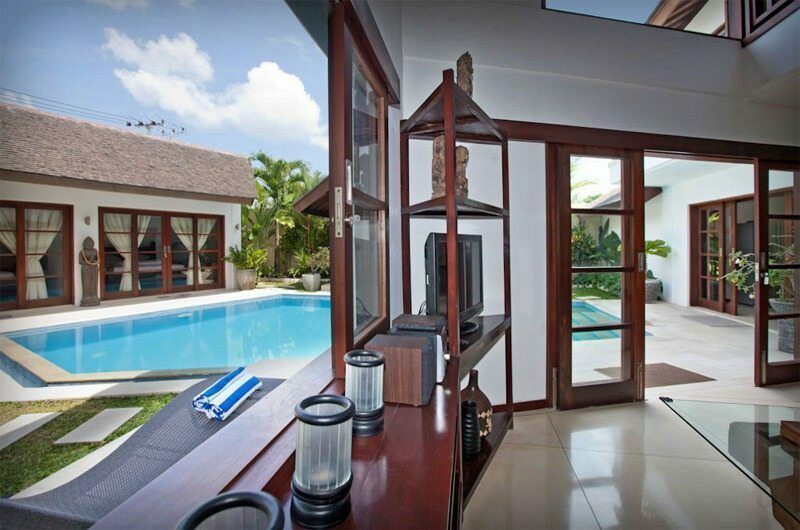 The villa is spacious and well equipped. You would not want for anything if you stayed here. The staff are so friendly and polite and willing to do anything for you. 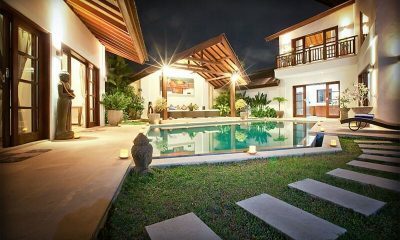 I used to have a skepticism about staying in Seminyak area, but Villa Origami has changed my opinion. Villa Origami has made our stay experience really well worth. 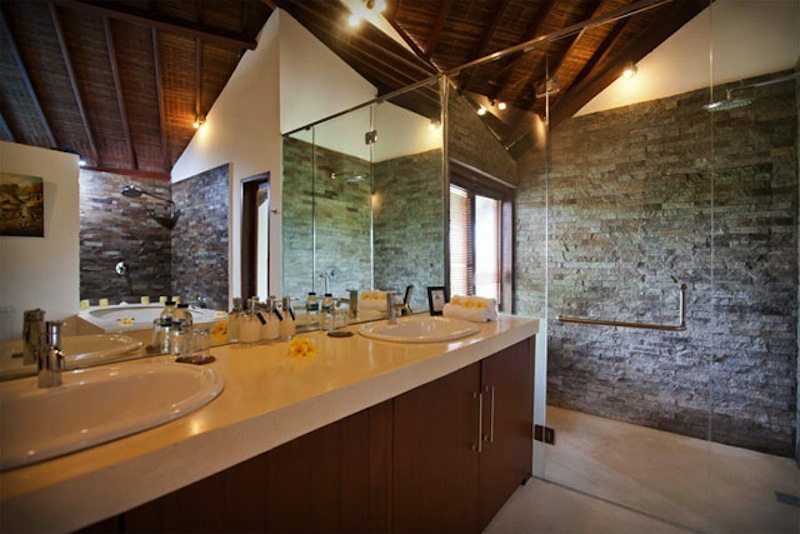 You get privacy and calmness while still being inside the commercial area of Seminyak. 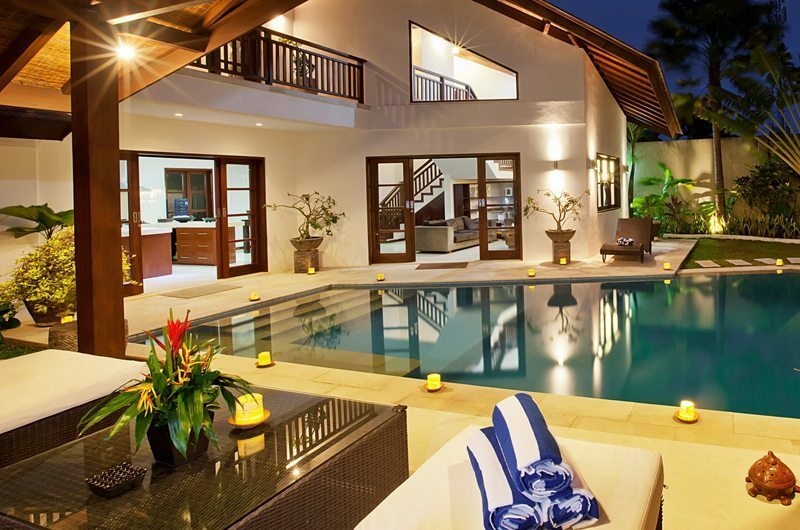 Our fave rooms are the two that face the swimming pool. Each is completed with a semi outdoor bathroom. Spending quality time with good friends by the pool is the moment I always remember. 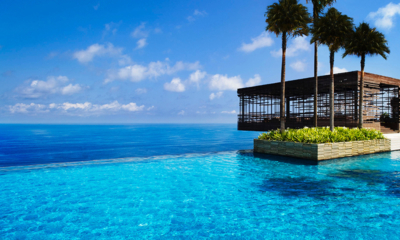 Alila Villas Uluwatu is one of the world’s most beautiful stylish, contemporary cutting edge hotels with stunning private villas. 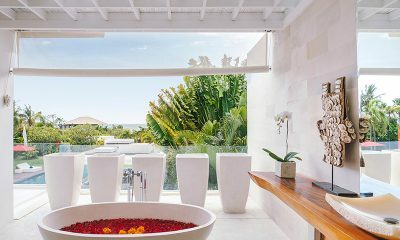 Villa Anucara is a magnificent white themed villa with a 30-metre pool located metres from the beach, with cool sunken living area by the pool.